The last few weeks have seen annual retail results emerge after our Christmas spend. Some like JD Sports holding firm others like New Look and Debenhams showing poorer than expected results. 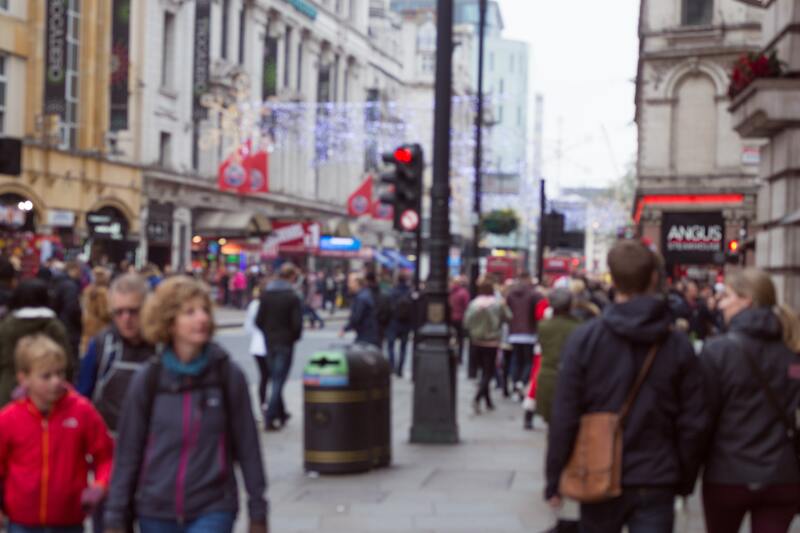 Most analysts agree that retail is in for a rough ride in 2019 as we continue to wrestle between our supposed love of the high street but our greater love for fast clicks. One of the more startling stats however, is the extent to which our habits towards returns have changed; buy a few, then try is the new norm with estimates of 25 to 30% of products purchased being returned. This seems a far cry from the mid 80’s when I worked weekends as a student in the cash office of a large retailer. Part of my role in the cash office was to help staff the returns desk - a glass office tucked away at the rear end of the store. Part of our fun as mischievous students was guessing who returners were. Those poor souls looking apprehensive as they tentatively approached with a tale of woe about the said item. Returns have long been the nemesis of many retail brands. When a product is returned or exchanged, not only does the retailer experience incremental supply chain costs, but often the item cannot be resold at the original price owing to damage, wear and tear, or obsolescence/devaluation given the passage of time; particularly an issue with fashion or seasonal merchandise. Customers regularly cite easy returns as another reason to shop online and who can blame them? It’s still easier than explaining to a live person who may not agree with you. Steve Dennis writing for Forbes warns that retailers have created a monster by making the process so easy and in many cases free. He warns of trouble down the line when the consequences of loss-leading strategies to buy out the competition come home to roost. And yet having established this popular customer benefit, it will be difficult to retract in any way. Instead retailers will have to innovate technology beyond the smooth buying process, to give accurate predictions of fit and suitability in the hope of a reduced returns rate. Customers quickly adapt to a new and better offering, quickly forgetting what went before, even if it seemed fantastic at the time. Once the genie is out of the bottle as they say it’s difficult to reverse. A colleague told me of Wi-Fi trial on a long-haul flight. A customer was using it and when there were some problems he complained that it was rubbish, even though it wasn’t in common usage and was revolutionary technology. A common mistake made by organisations is confusing choice with content; in other words, believing that customers will be delighted when provided with many options to get in touch. If there is a dilution of resource, the offering is complex, faulty and poorly articulated then no amount of channel choice will compensate for lack of professional, speedy, effective resolution. Yesterday I presented a session entitled ‘Effortless Interactions’ at Oracle Open World in London. The event attracted more than 7,000 delegates highlighting the need to understand more about how technology weaves and impacts every aspect of our personal and business lives. What struck me as we discussed the future of virtual assistants with fellow panellists, was a subtle change in approach away from technology as a solution looking for a problem, to a deeper understanding of what needs fixed, leading to a more informed and discerning conversation. It’s a theme I know is very real in the CCA agenda for the year ahead, Our members have little time or appetite for wasting time in speculative ventures which save neither time nor money. Instead they are looking to hit bulls eye with things that others have tried and tested, eyes wide open. With this in mind, our programme of six leadership sessions for Platinum Members (will dig deep with leadership teams on hand to explain why success happened in these selected organisations. For details of these and other services to get you off to a winning year click here. Now where do I start with all these bargains? Happy shopping whatever floats your boat! Anne Marie Forsyth is the UK’s foremost recognised customer service expert. In two decades of leading CCA, she has developed the organisation into an influential outward-looking and futures-focused organisation with a highly-regarded independent research unit at the heart of its operations. CCA has developed a unique repository of almost 20 years’ worth of data, industry insight, analysis and research. She is a highly accomplished media commentator, in demand as an international speaker, and represented the UK in negotiations to create an EU-wide customer care standard. She created and chaired CCA’s UK Industry Council Leadership Forum, an influential group of strategists and experts which leads CCA’s research agenda. More than 45 leading organisations from all sectors of the economy form CCA Industry Council and account for c30% of the overall service activity in the UK. The group’s objective is to inspire and innovate a change in approach to ensure the customer is placed at the heart of the enterprise. CCA has a growing international agenda with new partners measuring themselves against CCA Global Standard©, which is the recognized benchmark in the UK. A graduate of Strathclyde University, Anne Marie began her career in Chartered Accountancy with Coopers & Lybrand and also had a successful marketing career for US multinationals, Johnson and Johnson, and in Europe, Phillips TMC.